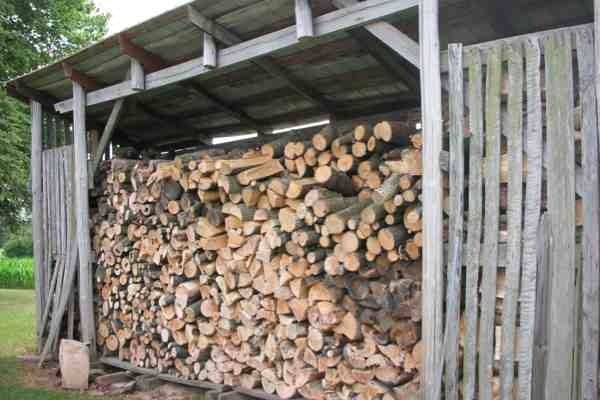 The concept of firewood storage is pretty simple. Properly stored firewood will last longer and burn hotter than wood that's been neglected or ignored. Whether you buy your firewood or cut it yourself eventually you will need a place to store it until it's ready for use. Here's the good news......There's no single right answer for the best way to store firewood. Everyones situation is different. The amount of space you have available and how much wood you burn will both dictate your individual storage needs. First, keep it covered. Second, keep it off the ground. Third, keep the air flowing around the wood. The learn how to properly accomplish each step, lets look at them in more detail. 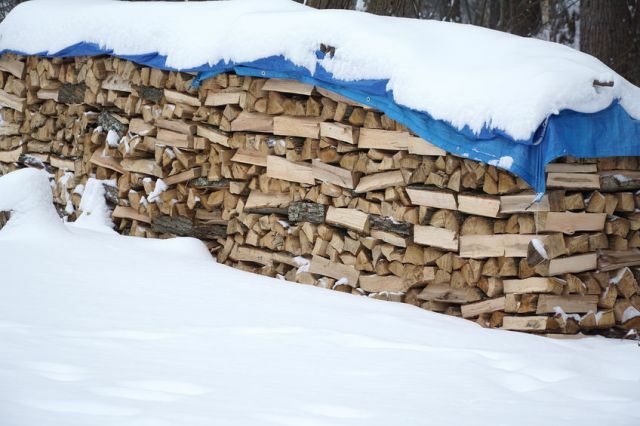 A roof, tarp or commercial firewood cover can all be used to keep rain and snow from accumulating on your stack of firewood. It's important not to completely cover your firewood on all sides becuase air flow needs to penetrate the wood to dry it out. If you use a tarp or other similar device, only cover the top portion of the wood stack and about a foot or two on the sides. This will keep water from accumulating on top of the wood while still allowing air circulation throughout the stack. Elevating your firewood off the ground by just a few inches will keep it dry and reduce the amount of insects who try to make your stack of firewood their new home. Firewood can soak up a lot of moisture directly from the ground if you don't stack it on some type of barrier. Wooden pallets are one of the easiest things to stack firewood on. They're sturdy, they keep the firewood off the ground and you can find them for free at many local businesses or factories. 2x4's, landscaping timbers or even symmetrical tree branches can also be used to elevate your wood of the ground. Once elevated, air will flow under the stack speeding up the drying process. Air circulation is vital for both seasoning green firewood and keeping seasoned firewood dry. 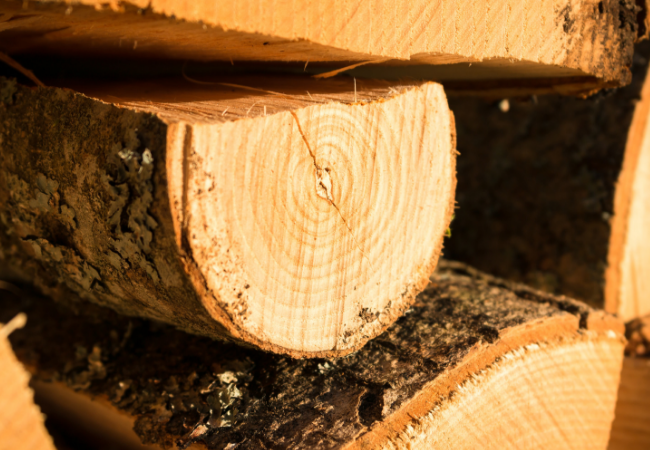 Choose an area that receives ample sunlight which will help dry out any wet firewood. If you are stacking multiple rows of wood, leave about 12 inches of space between each row so the air can penetrate all sides of the wood. Good air circulation will not only speed up the drying process, but it will reduce the amount of mold and fungus on your firewood. Don't let your hard work or money go to waste by simply throwing your firewood into an uncovered pile. Keep these 3 basic rules in mind and you will be enjoying hot fires from dry firewood all winter long.